David and Dana Loury, parents of SciCom alumna Erin Loury '12. Bethany Augliere, David and Dana Loury Scholar in the SciCom class of 2016. David and Dana Loury, parents of SciCom alumna Erin Loury '12, have established a new fund to support a graduate scholarship and guest lectures by journalists in the Science Communication Program. The philanthropists have pledged $25,000 annually from The David and Dana Loury Foundation to enhance the public understanding of key societal issues in science, health, technology, and the environment. The majority of the funding each year will support one or more scholarships to help offset costs for full-time graduate students in the SciCom program. The remaining funds will help the program director attract national journalists to work closely with students on their major projects as visiting speakers and editors. "Throughout my career, I have been interested in the application of scientific understandings to solve practical problems," said David Loury. "In some areas, scientific solutions cannot be effectively applied without general public support. I see Science Communication as a bridge between a fundamental understanding of a problem and a publicly supported solution." The Lourys hope their gift will improve student experiences in the program, which typically enrolls students with higher degrees—and, often, previous loans. "We are concerned about the level of debt that many students are incurring these days," they stated. "The student support provided by our gift is intended to ease some of these financial burdens. In this way, it is hoped that graduates of the SciCom Program will have the financial wherewithal to emphasize career development over income when they make early employment choices." In its inaugural year of 2014-15, the David and Dana Loury Foundation Scholarship in Science Writing supported two students: Leigh Cooper, a Ph.D. ecologist from the University of Colorado, Boulder, and Nala Rogers, who earned a B.S. biology from the University of Utah. Both graduates went to Washington D.C. to work at national internships after graduation. Cooper is at the American Geophysical Union news office, while Rogers reported for Nature Medicine this summer and will work for six months on the news staff of Science. The scholarship recipient for 2016-17 is Bethany Augliere, a marine biologist and accomplished wildlife photographer who has worked for several years with the Wild Dolphin Project in the Bahamas. Augliere earned her M.S. in marine biology from Florida Atlantic University. Proceeds from the gift also supported guest lectures and one-on-one editing sessions during 2014-15 with numerous regional and national journalists, including Slate science editor Laura Helmuth, essayist and High Country News contributor Michelle Nijhuis, Los Angeles Times investigative reporter Ben Welsh, Nature art editor Christopher Ryan, and Mexico City–based freelance Erik Vance. 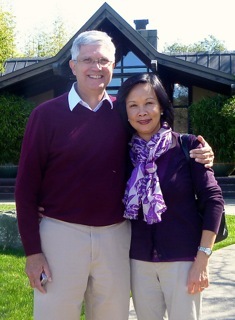 "We appreciate the value that outside lecturers bring to the overall quality of the program," the Lourys said. David Loury earned his Ph.D. in pharmacology and toxicology from the University of California, Davis. He worked in preclinical safety at Syntex Corporation in Palo Alto, then led drug development efforts at several biopharmaceutical companies in the San Francisco Bay Area. The last of these was Pharmacyclics, where Loury was Chief Scientific Officer for four years before retiring in 2013. At Pharmacyclics, Loury's team developed an orally administered drug known as ibrutinib that has remarkable efficacy against certain types of lymphoma and leukemia with minimal toxicity when compared to other forms of treatment. Dana Loury earned her M.S. in pharmacology and toxicology from UC Davis. She worked for more than a decade as a research associate at Syntex Corporation and Roche Bioscience, and then as a business analyst at Roche. Later she worked as a media library specialist and career advisor at Lynbrook High School in San Jose. 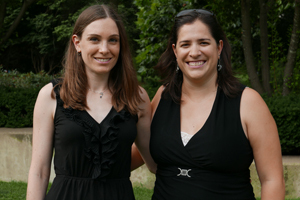 Their daughter Erin, the eldest of two children, earned her B.S. in biology at UC Davis and her M.S. in marine science at Moss Landing Marine Laboratories. During the SciCom program she worked as an intern at the San Jose Mercury News and Science, then received a Kaiser Family Foundation health reporting internship at the Los Angeles Times. 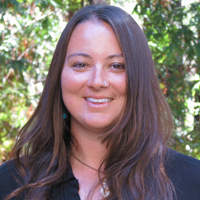 Soon thereafter Erin joined the staff of FISHBIO, a California-based research organization working to improve the health of freshwater fisheries in the state and in southeast Asia. Erin directs communications for FISHBIO and also works as a biologist, including frequent trips to Laos, Vietnam, and Myanmar.